All Black super star Sonny Bill Williams gives his medal to a young pitch invader after he was tackled to the ground trying to get close to his heroes. 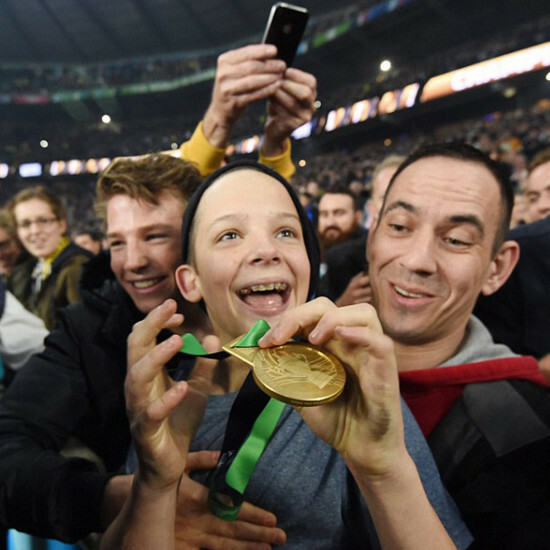 Sonny Bill Williams generously gifted his coveted Rugby World Cup gold medal to a young fan after the final. He said he felt sorry for the ‘little fella’ after he was ‘smoked’ by a security guard. The boy’s eyes went wide with excitement after the formidable All Black handed him the medal.